Brightest blessings! 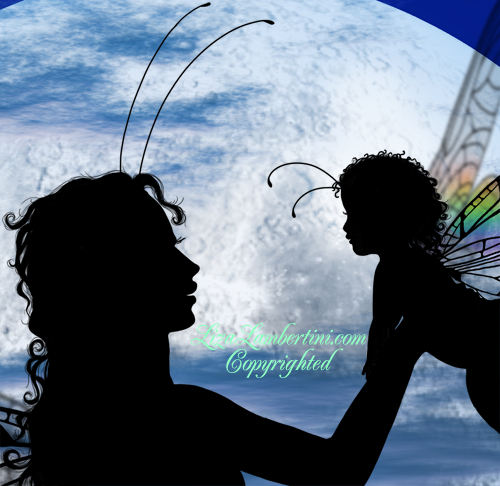 One of my faeries just had a baby not too long ago. There was much "to do" around here about it. 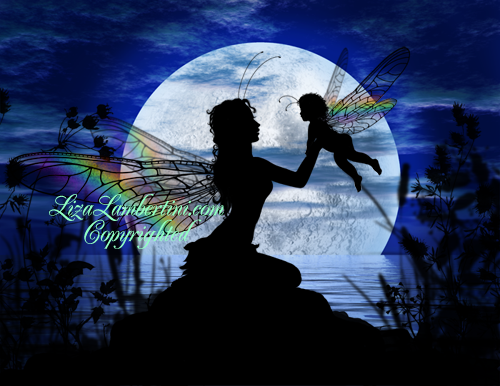 One day Mama needed a break and I baby faery sat. I had no idea baby faeries could fly before they walked. Good thing I tied a string around my pinky and the baby with cushioning around her little ankle. Baby faeries are fearless and curious beings. Soon as Mama walked out the door baby was flitting about! I suppose this makes me a Faery Godmother:D I was able to capture this moment by the light of the magical moon after the festivities and celebration. Mama and Daddy faery said to me this; "Our child is a blessing, so too we shall be a gift to her" I believe they absolutely will.